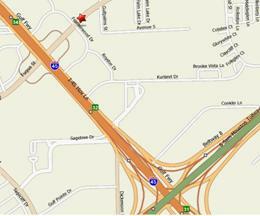 We are located in an Industrial business park near Beltway 8 and the Gulf Freeway (I-45). Approximately 20 minutes from Downtown Houston (depending on Traffic) and 10 minutes from Pasadena and Highway 225. The main number 281-481-5101 is available during normal business hours. If you call after hours on this line, leave a message and we will be notified by email. The after hours line is 832-964-7861. If you go to the automated system, please leave a message and we will be notified by our messaging service. If you prefer our email address is rescate@rescateresources.com.